Eric V. Love is the managing partner of the firm. His practice focuses on estate planning, estate and trust administration and estate and gift tax matters. Eric received his undergraduate degree in business administration and accounting from the University of Kansas. He is also a CPA and worked for Deloitte & Touche as an auditor. Eric received his law degree from the University of Kansas before joining the firm in 1994. 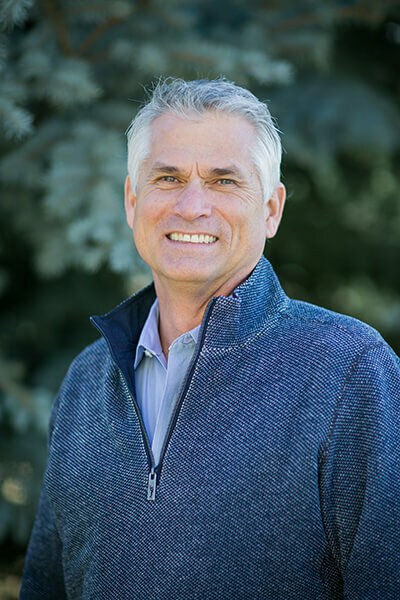 He has served on the boards of directors of the Colorado Music Festival, Downtown Boulder, Inc., Imagine!, and the Board of Trustees of the Boulder Community Hospital Foundation. Eric is listed in the Best Lawyers of America® 2017 Trusts and Estates. He is AV Pre-Eminent™ rated by Martindale Hubbell®. Eric lives in Erie with his wife Jennifer and son Joshua.